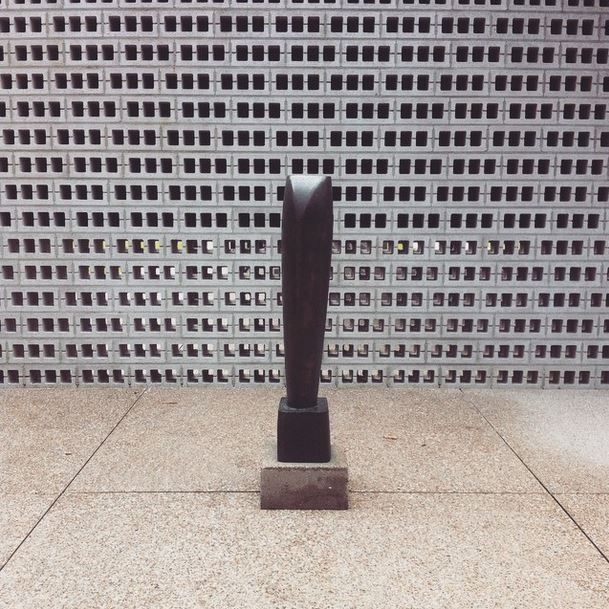 -BLOG- I recently visited two locations, both of which are significant in understanding Barbara Hepworth’s approach as one of Britain’s most important Modernist artists, and both of which feature in the exhibition Barbara Hepworth: Sculpture for a Modern World. My first trip was to St. Ives in Cornwall, the remote fishing town that was Hepworth’s home from 1939 to 1975. The area has a history as an artist’s colony stretching back to the nineteenth century, facilitated by the 1877 extension to the Great Western Railway. The duration of the commute from London with a change at St. Erth hasn’t much changed (six hours), though the journey is incredibly beautiful! 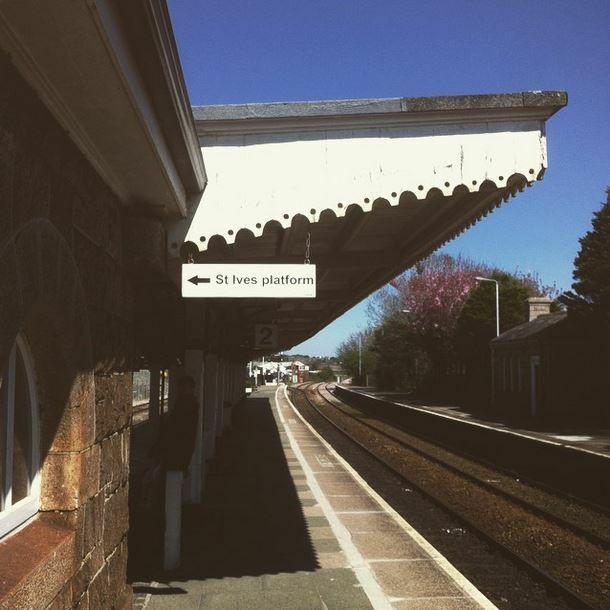 As the train turns, the Bay of St. Ives is suddenly revealed, and the Mediterranean light and warmth (St. Ives is one of the sunniest places in the British Isles) is immediately evident when you alight on the platform next to the beach. 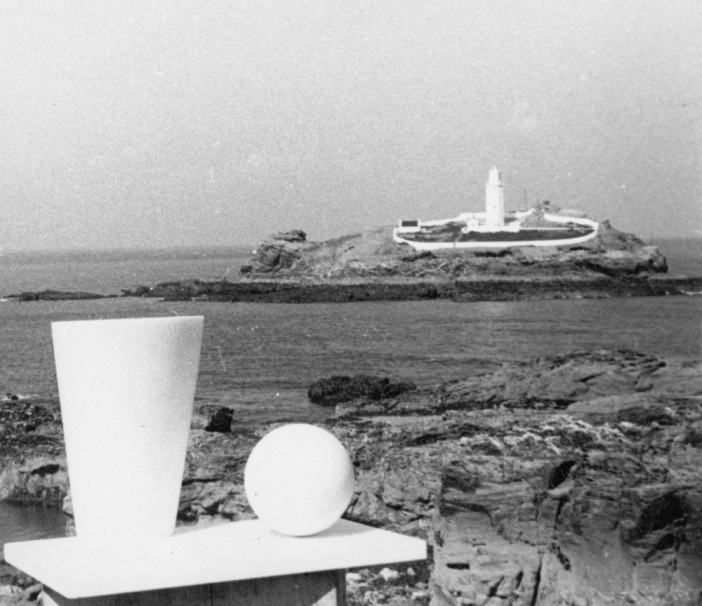 From there you can spot Godrevy Lighthouse, inspiration for the 1927 novel To the Lighthouse by Virginia Woolf, who visited St. Ives as a child with her family, and a feature of Dudley Shaw Ashton’s 1953 film about Barbara Hepworth Figures in a Landscape. In summer 1939 as the threat of war in Europe was growing, Hepworth left her home in Hampstead, North London and drove with her husband Ben Nicholson and their children to St Ives at the invitation of their friend, the critic Adrian Stokes and his wife, the Scottish-born artist Margaret Mellis. Though their stay was intended to be temporary, the realities of wartime made a return to the capital difficult. Moreover, Hepworth found in St Ives much to be inspired by. During the 1940s Hepworth’s established aesthetic, of related abstract geometric forms, began to soften. She embraced forms that appeared more organic, inspired by the landscape of the Cornish coast, such as Pendour (1947) which, with its hollowed out concavities is reminiscent of the cove of the same name. The environment of St Ives suited Hepworth, as a sculptor, with the warm climate making working outside much easier. 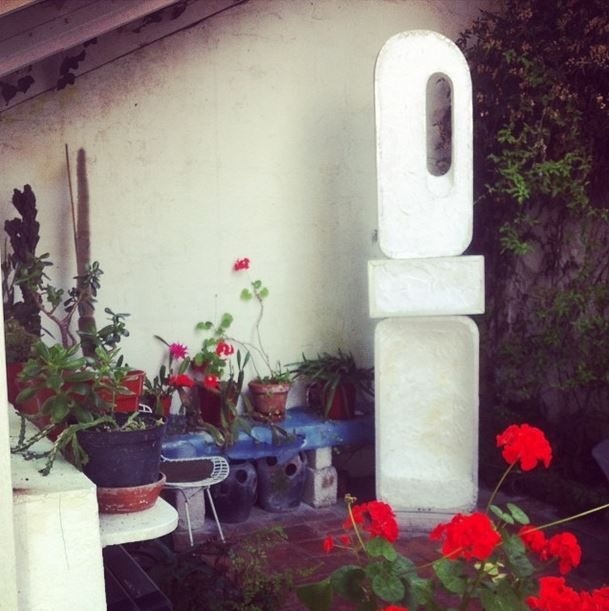 In 1949 Hepworth acquired Trewyn Studio (now the Barbara Hepworth Museum and Garden) – providing her with both home and workplace and allowing her more space to produce more ambitious works, as well as a space for display amongst the tropical plants and palms in her garden. It was the link between Hepworth and her contemporaries in Europe – especially in relation to architecture – that I explored during my second trip, when I visited the Rietveld Pavilion in the Netherlands. A fellow-modernist, the Dutch designer and architect Gerrit Rietveld (1888-1964) is celebrated in Europe, (there is even a Rietveld app!) where he is best known for his contribution to the De Stijl movement. His Rietveld Schröder House built in 1924 in Utrecht, is a monument to his aesthetic and ingenuity. Rietveld used simple, functional ‘off-the-shelf’ builders’ materials to create a structure that merged indoors and outdoors. His pavilion consists of a sequence of spaces and backdrops against which sculpture could be displayed in counterpoint and compliment. The comparison between Hepworth and Rietveld is interesting as his approach to architecture is comparable to Hepworth’s approach to sculpture, both materially and theoretically. Both were also well-known public figures in their later years and, for both, the utopian vision for modern art and architecture first stated in the 1930s became newly relevant in the 1950s and 1960s when Europe and European society was rebuilt in the aftermath of war. Hepworth’s sculpture Single Form exemplifies this approach. The 1963 bronze version, subtitled Eikon was displayed at the Rietveld Pavilion and can still be found there today. It relates to earlier works with the same title from 1937. 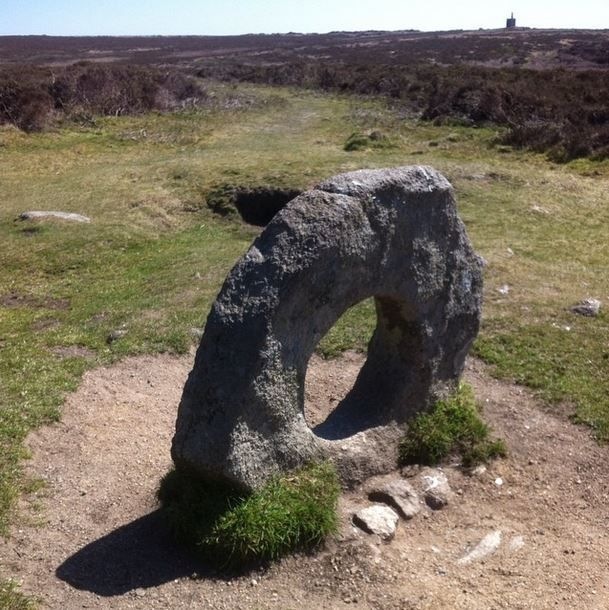 The vertical form of the work evokes the ancient standing stones in the Cornish landscape but now, harmoniously positioned in relation to architecture, speaks of Hepworth’s unique vision for humanity in a modern world. Inga Fraser is Assistant Curator of Modern British art at Tate Britain. The original blog can be found on the website of Tate Britain.